Posted November 23, 2011 in Davide De Rose Veltri, Thor. 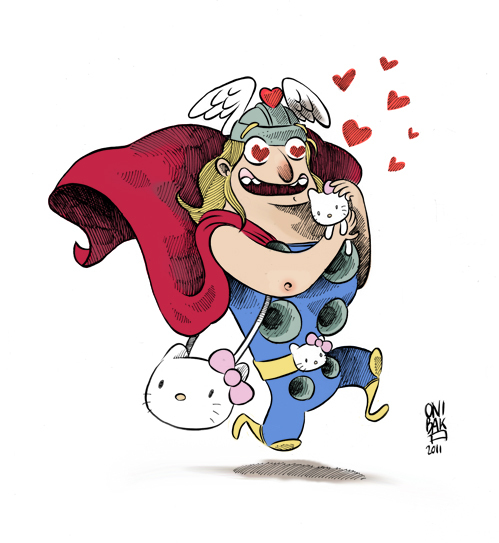 Thor and his secret love, courtesy of Italian artist Davide “OniBaka” De Rose Veltri. Since leaving art school Davide has been a tattooer and a toy sculptor. His latest project is the cartoon adventures of Little Caligari. Be sure to check out Davide’s blog and DeviantArt page for more.